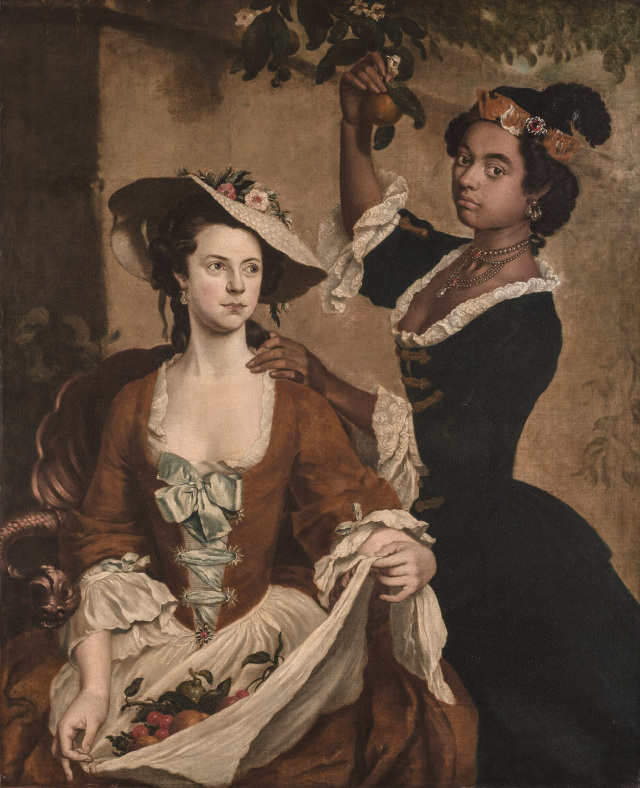 Following on from one of our blogs about Dido Elizabeth Belle, one of our lovely readers made us aware of this unusual painting titled, Young Woman with Servant which is on display at Wadsworth Atheneum Museum of Art. Stephen Slaughter. English, 1697–1765. Young Woman with Servant by Stephen Slaughter (1697-1765). Wadsworth Atheneum Museum of Art, Hartford, Connecticut, The Ella Gallup Sumner and Mary Catlin Sumner Collection Fund. Why unusual? It is odd on so many levels. For starters the subject matter, it is titled ‘young woman with servant’ so which is the young woman and which the servant? Whilst looking at it, we found ourselves almost playing a game of ‘spot the difference’.